Radiation levels inside a damaged reactor at Japan’s Fukushima nuclear plant have hit a record high, and are the worst since the plant suffered a triple meltdown nearly six years ago. The latest readings now pose a serious challenge as officials prepare to dismantle the stricken facility. Radiation levels inside the containment vessel of reactor No. 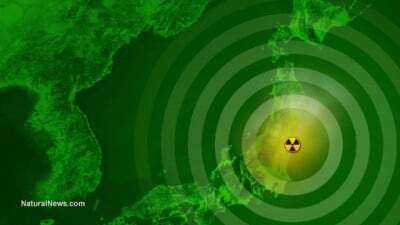 2 at Fukushima has reached 530 sieverts per hour—a figure described by experts as “unimaginable.” The readings, taken by Tokyo Electric Power Co. Holdings Inc. (Tepco), were taken near the entrance of a space immediately below the pressure vessel, which contains the reactor core. The radiation level inside the plant now far exceeds the previous high of 73 sieverts per hour, which was recorded soon after the triple meltdown in March 2011. Tepco made the readings by analyzing electronic noise caused by the radiation in video images. The company says this technique has a margin of error of plus or minus 30 percent (so even at the extreme low ball, the levels are no lower than 370 sieverts per minute—but possibly as high as 690!). Needless to say, this plant is not fit for human life. Just one dose of a single sievert is enough to cause radiation sickness and nausea. Exposure to four to five sieverts would kill about half of those exposed to it within a month, while a single dose of 10 sieverts is enough to kill a person within weeks. These surging radiation levels are complicating plans to dismantle the plant. According to the National Institute of Radiological Sciences, medical professionals aren’t prepared to treat patients who have been exposed to the levels of radiation currently experienced at the facility. This is a big problem for Tepco, which plans to remove fuel debris as part of the decommissioning process. The dismantling of Fukushima is scheduled to start in 2021 and could take nearly a half-century. Officials with Tepco aren’t entirely sure why radiation levels are on such a dramatic upward trend. Either previous readings were insufficient or incorrect, or conditions inside the plant are changing. Problem is, the interior condition of the plant is still a big mystery. The high readings suggest that some of the melted fuel that escaped the pressure vessel is lingering nearby. Should this be confirmed, it would mark the first time that tainted debris has been found in any of the three reactors that suffered core meltdowns. 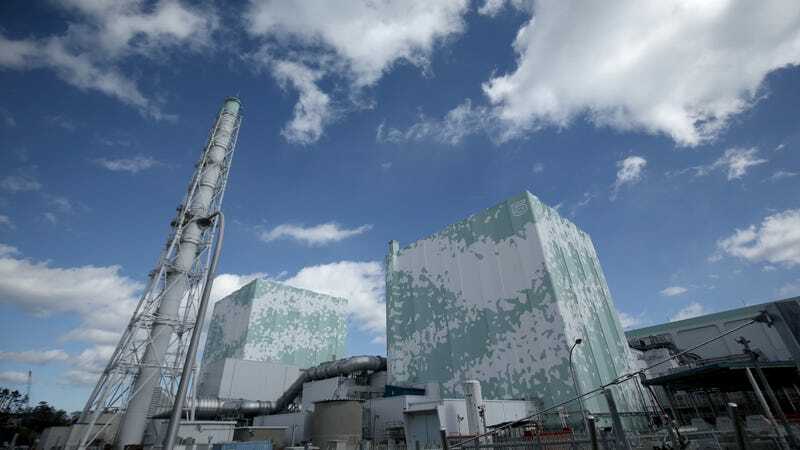 Tepco has been unable to confirm the condition of the melted fuel owing to the extreme and inhospitable conditions inside. In other news, a remotely-operated vehicle discovered a horrific 6.5-feet (two-meter) hole in the metal grating under the pressure vessel in the reactor’s primary containment vessel. The company suspects the gash was created by nuclear fuel that melted and then pierced through the vessel after the tsunami knocked out Fukushima Daiichi’s back-up cooling system. This investigation will prove easier said than done. Tepco was hoping to send a newly developed robot into reactor No. 2, but that doesn’t seem possible now given the intense radiation inside. The remotely-operated machine was designed to withstand exposure of up to 1,000 total sieverts. At the previous peak of 73 sieverts per hour, it could run for about 10 hours. But at the newly recorded 530 sieverts per hour, it would last no more than two hours. Consequently, Tesco is planning to send the robot into reactor No. 1 in March, while its survey plan for reactor No. 2 is now on hold. Scary stuff, to be sure. When nuclear goes wrong, it really, really goes wrong.